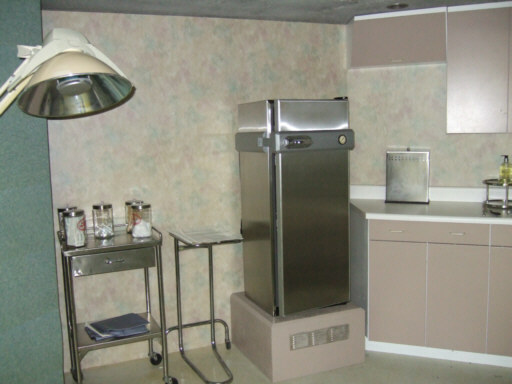 One of the major rooms in the Dharma Staff Station is used as an operating theater. 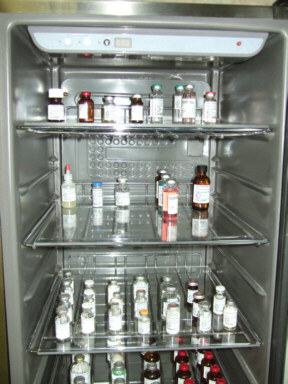 Among the equipment visible inside this room is a freezer storage-type unit, containing a large quantity of vials, one of them is shown here. 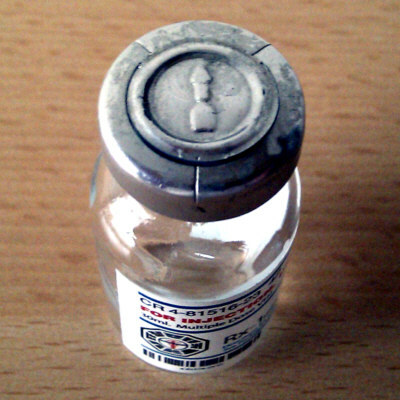 For an used look, the empty vial was slightly distressed by the LOST prop team. 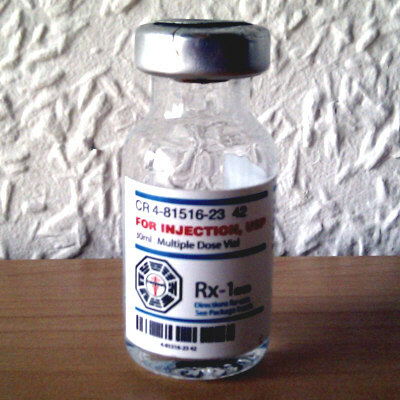 The vial is labeled with the codes "CR 4-81516-23 42", "RX-1 GND" and a Dharma Staff Station logo. As seen in S2E15 - Maternity Leave. 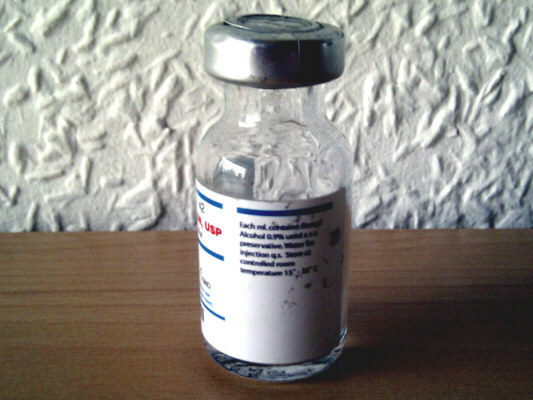 ... where a large amount of vials is seen. ... with an unknown vaccine.